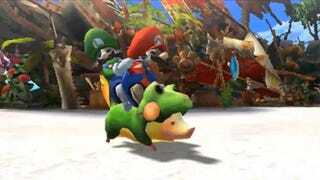 There will be Mario and Luigi costumes in the 3DS' Monster Hunter 4 according to today's Japanese version of Nintendo Direct. For those of us who like bizarre, disturbing things in our games, this is great news. Still no news of Monster Hunter 4 being released in North America, as far as we know. Sorry, folks.